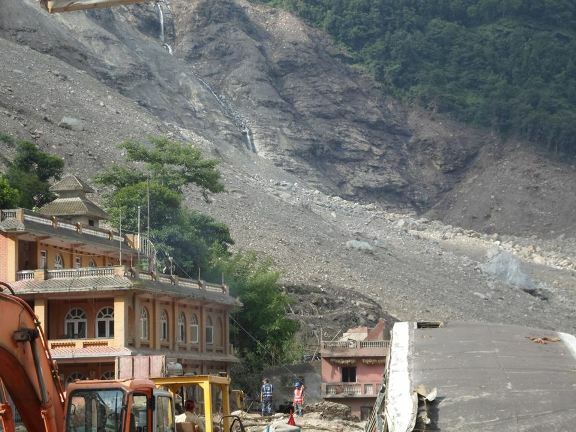 A massive landslide blocked Sunkoshi River and formed a large pool at Mankha on August 2. Around 150 people have been killed and more than 300 have been displaced in the landslide. Mankha is a village in Sindhupalchok District in the Bagmati Zone of central Nepal, about 75 miles east of capital city Kathmandu. Locals in Barhabishe, Lamesanghu, Khadichaur, Dolalghat, among other surrounding areas have moved to higher grounds fearing that the blocked river may brust anytime. 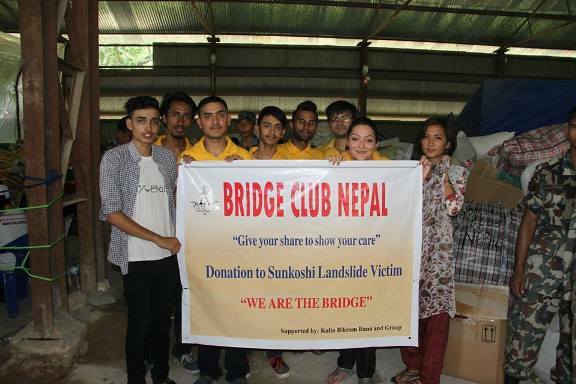 BCN with a support from Mr. Kolin Bikram Rana and Group successfully organized a donation program to Sunkoshi Landslide Victims on August 9. 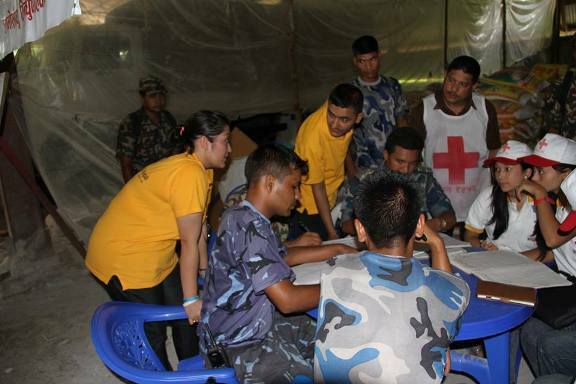 BCN Members: Aashish Joshi, Mohan Regmi, Roshan Pokhrel, Sandesh Khadka, Sanskriti Subedi, Suman Saud. 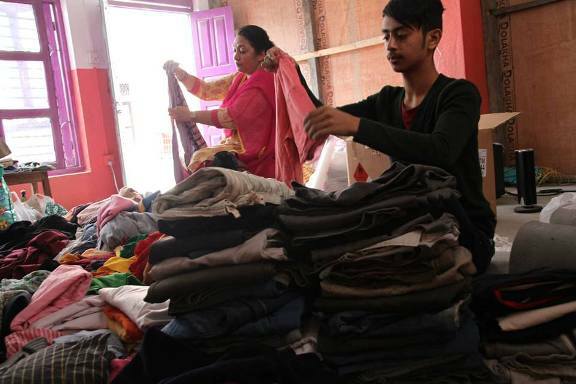 BCN collected set of clothes for 200 families and food in similar quantity from many helping hands and handed them over to the collection center set-up in Sunkoshi by Nepal Red Cross Society and Nepal Police. 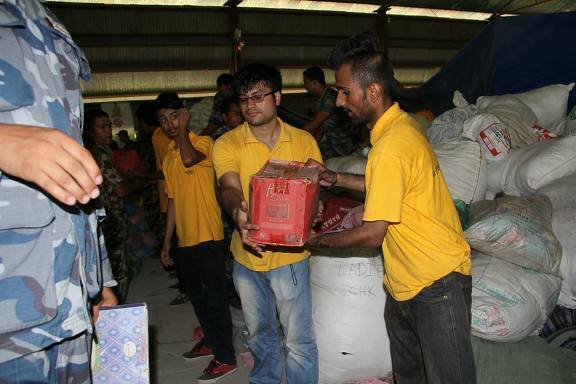 We extend our heartfelt thanks to Mr. Kolin Bikram Rana & Group, BCN Volunteers and all the donors who showed their care by donating clothes, foods & money and helped BCN in organizing this activity. This activity was covered by many news channels too. 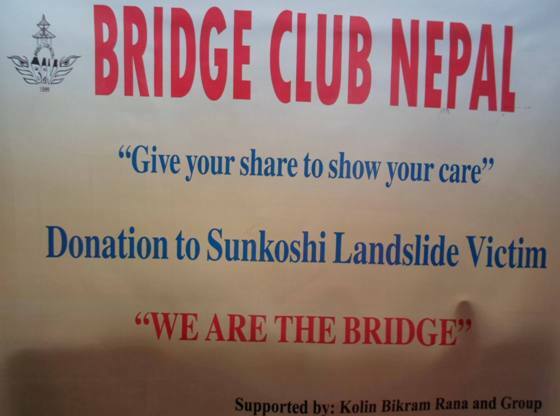 We are the BRIDGE !! !